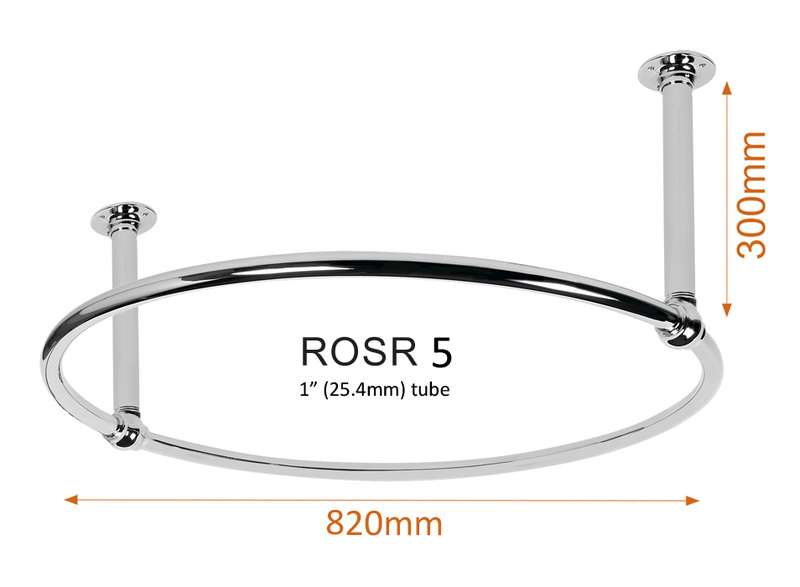 This round shower curtain rail [ROSR5] is 820mm wide and finished in Chrome, Gold, and Nickel plated, or Coloured powder coat to suit. Comes with 2 x 300mm adjustable ceiling supports. 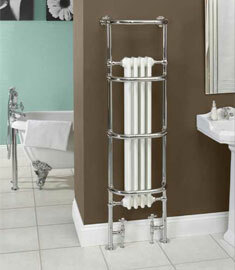 If you are looking for a wider rail of the same style take a look at our ROSR6. 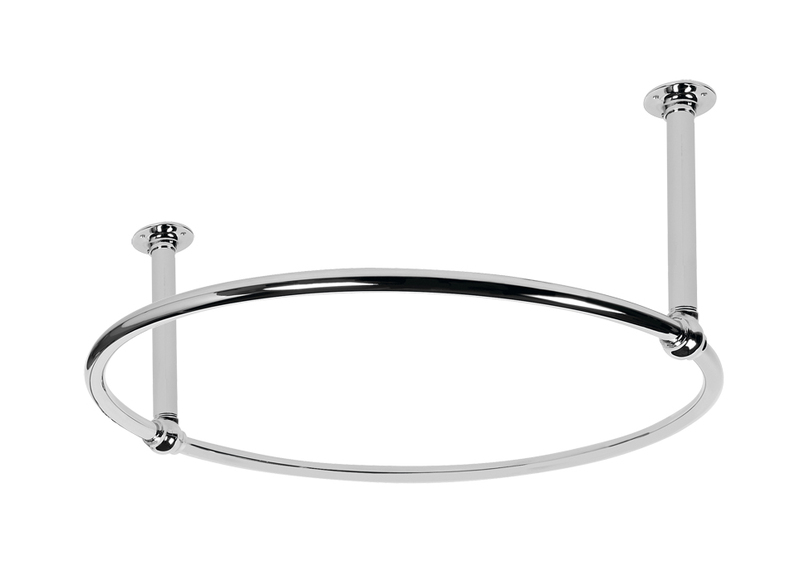 Handmade in Britain from the highest grade brass available and braised with solid silver for a quality polished finish.